Andipa Gallery is pleased to present Swinging Chelsea, a celebration of art and culture that flourished in London’s Chelsea borough during the 1950’s and 60’s. Once a Victorian bohemian colony to artists, writers and poets, Chelsea was home to J. M. W. Turner, John Singer Sargent, Oscar Wilde and Thomas Carlyle. The area bloomed once again in the mid-twentieth century with a number of young artists living, working and studying in the buzzing borough. 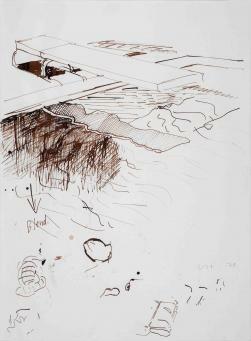 Exhibiting a selection of artists whose careers took shape during this time period, Swinging Chelsea coincides with Andipa’s 40th Anniversary on Walton Street as well as the completion of our new lower ground level. The exhibition takes a nostalgic look at the area’s diverse art scene that gave rise to the one of the most influential art movements of the 20th century – Pop Art. Often drawing from American imagery and popular cultural artefacts for inspiration, albeit from a British angle, Pop Art coincided with the youth and pop music phenomenon of the 1950’s and 60's and later played a significant role in London’s “Swinging Sixties”. 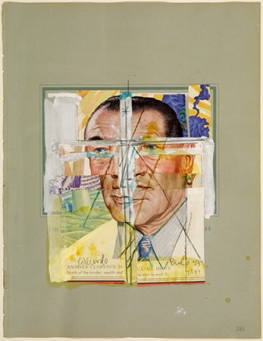 Artists such as Richard Hamilton, David Hockney, Patrick Caulfield, Derek Boshier and Eduardo Paolozzi all created work that embraced the artistic value and relevance of popular mass culture. Francis Bacon, on the other hand, did not succumb to the onset of Pop Art and continued to work along his own path in his Cromwell Place studio. 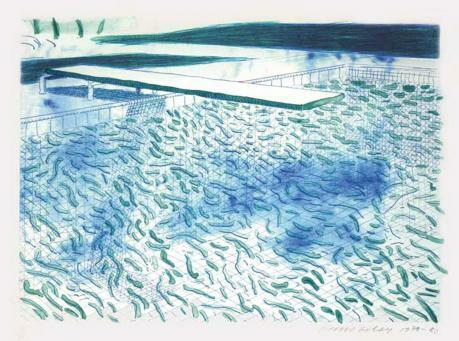 His impact and influence on young London painters, however, remained prevalent - especially among David Hockney and R.B. 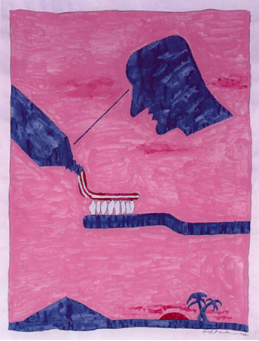 Kitaj, whose earlier works drew influence from Bacon’s radical approach to the human figure. 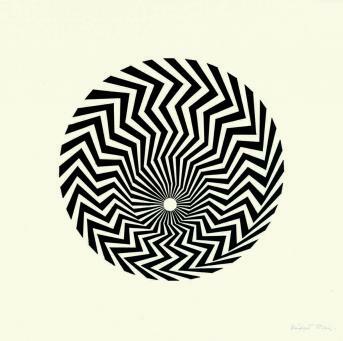 Bridget Riley, a contemporary of Peter Blake at the RCA, also played an important role in the Swinging Sixties. Riley developed her own signature style, later coined as “Op Art” – mathematically-based compositions that played with optical illusions of geometric patterns, subjecting the viewer to a real observable physical sensation. Much to Riley’s concern, Op Art later triggered a 60’s fashion craze, where her patterns appeared on everything from clothes to stationery and furnishing fabrics. 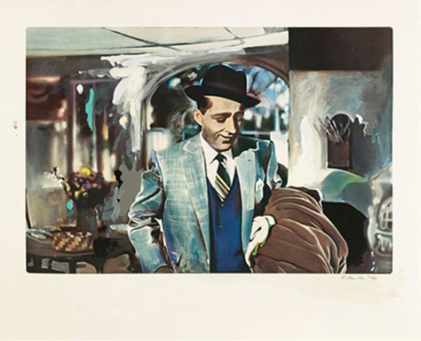 Unlike Pop Artists who embraced a reciprocal relationship with popular culture, Riley was dismayed at seeing her original work co-opted for commercial use.